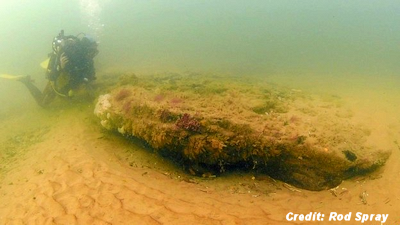 A submerged prehistoric forest, discovered 200 metres off the Norfolk Coast, is about 10,000 years old, according to geologists. It was uncovered when last winter's storm surge shifted thousands of tonnes of sand beneath the ocean. Geologist Martin Warren said it was part of a "country Europe forgot". Professor Julian Andrews, from the University of East Anglia, called the discovery "very exciting". He said studies of wood found near the forest, dated it at about 10,000 years old. . . .